For dinner last night, I decided to go easy on myself and simmer together a soup in the crock pot. I mean, is there anything better in autumn than smelling something yummy cooking all day long? 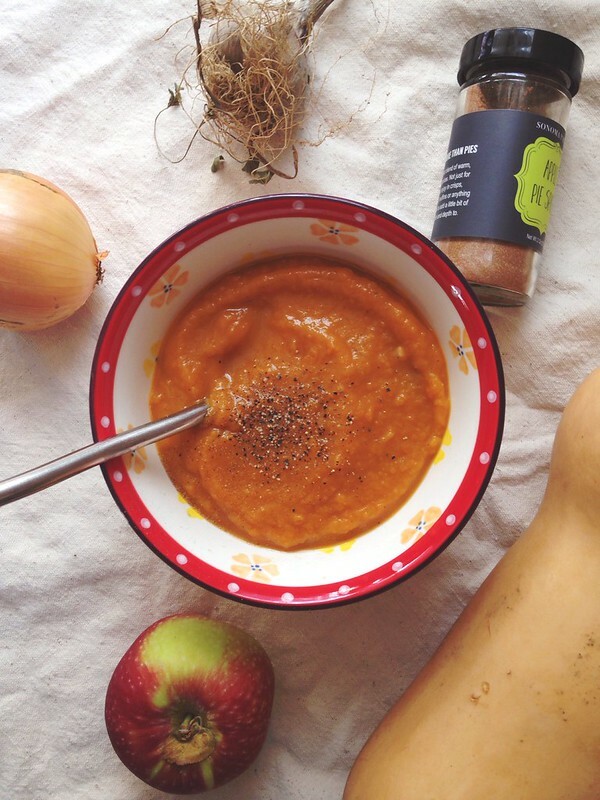 And this soup has a healthy dose of spices that make it extra comforting. You may have missed all my gushing last year, but I got a new slow cooker. I used to have one of those $10 varieties, and it worked quite well. If you're on a budget, I really recommend going with whatever you can afford because crock pot = easy dinner. My new baby? Still affordable! The Aroma 3-in-1, which is a slow cooker, rice cooker, and steamer in one convenient package. I recommend using Granny Smith apples in this recipe. They have an extra edge that my McIntosh didn't this time around. But whatever you have should still do the trick. * Don't have this stuff? Try using 2 cups of vegetable stock in place of the water, cider, and bullion. Also: That price on Amazon is horrible. I linked so you can see what it looks like. Pick it up at your local market. 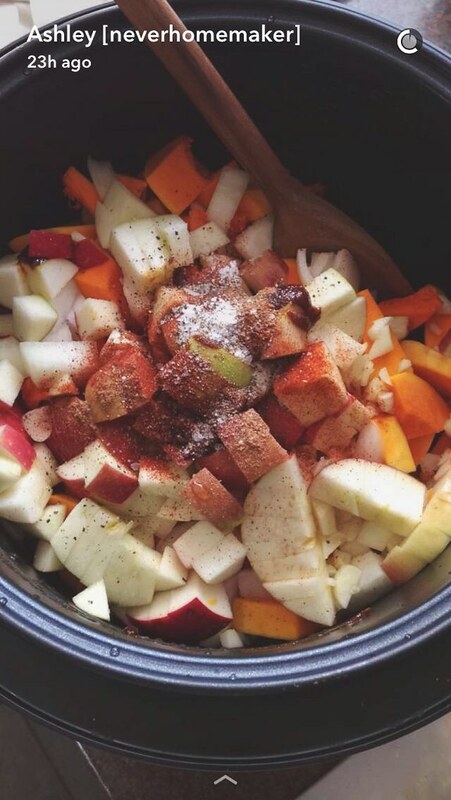 Toss the butternut squash, apples, onion, garlic, cider, water, bullion, spices, salt, and pepper into your slow cooker. Mix well. Cook on high for 3 to 4 hours. Then let cool slightly and stir in the soy or almond milk. Transfer to your blender in two batches and blend until smooth.